The wget command allows you to download files over the HTTP, HTTPS and FTP protocols. It is a powerful tool that allows you to download files in the background, crawl websites, and resume interrupted downloads. Wget also features a number of options which allow you to download files over extremely bad network conditions. 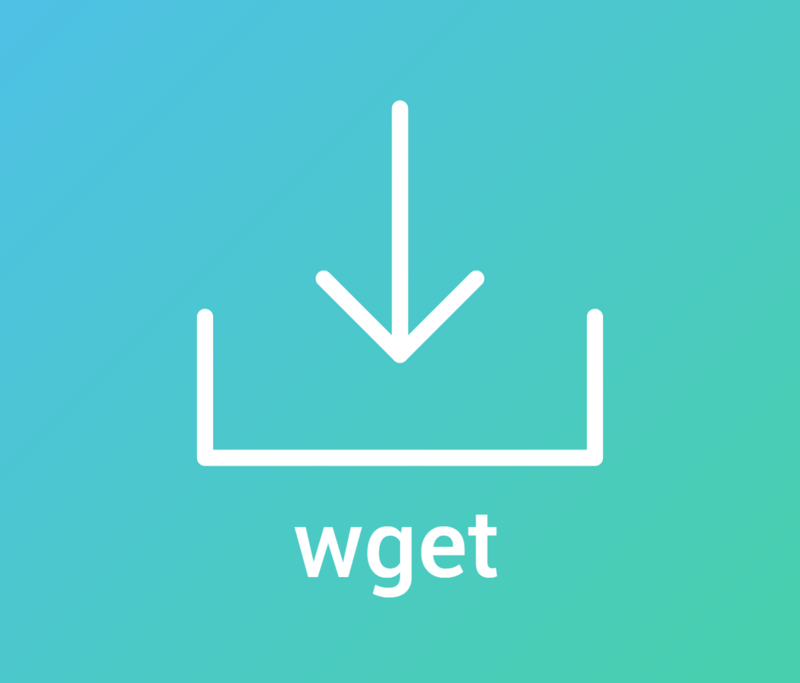 In this article, we will learn how to use wget to achieve common downloading tasks from the command line. Most Linux distributions have wget installed by default. To check whether it is installed on your system or not, type wget on your terminal and press enter. If it is not installed, it will display “command not found” error. Use the respective commands below to install it on your system. Now, you can access the wget command through the MSYS2 shell. wget infers a file name from the last part of the URL, and it downloads into your current directory. So, in our example, the file will be saved to ubuntu-18.04-desktop-amd64.iso. Note that wget works only if the file is directly accessible with the URL. Occasionally, you will come across files that you can’t download directly with a link — such as a file which can be accessed after logging in. There are ways in which you can get around these restrictions, which we’ve discussed later in this article. If you’re using -O and -c, be sure to provide the correct URL. Otherwise, you’ll end up with a partial combination of two different files, rendering it unusable. In addition, some servers don’t allow you to resume file downloads. (You can tell if a server supports resuming by looking at the progress bar. If, during the initial download, the progress bar moves back and forth instead of left to right, the server doesn’t allow resuming.) In that case, the file will be downloaded afresh from the beginning. Similarly, you can use the m suffix for a limit in MB/s. You can press Ctrl+C any time to stop viewing the progress. However, the download progress will continue in the background as usual. First, we’ve set the number of tries (the -t switch) to inf. Should wget face problems downloading the file, it will try infinitely many times as needed to complete the download. Then, we’ve used --waitretry to set the delay between each retry to 3 seconds. Next, we’ve set the network timeout to 10 seconds with the --timeout switch. 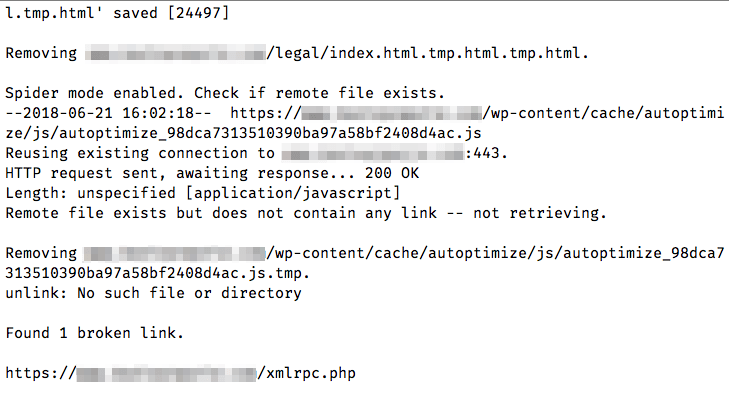 In case wget doesn’t hear back from the server for more than 10 seconds, it assumes that the connection is down. Doing this helps wget reissue network requests to fetch the file. Finally, we’ve used the --retry-connrefused switch. Typically, a “connection refused” error occurs when the server is not running. However, it can also occur on unreliable network connections, and this switch tells wget to retry downloading in case it gets a connection refused error. So far, we’ve seen how to download particular files with wget. Sometimes, it is more useful to download related parts of a website. Wget has a “recursive downloading” feature for this purpose. In this mode, wget downloads the initial file, saves it, and scans it for links. Then, it downloads each of these links, saves these files, and extracts links out of them. By default, this process continues for up to five times. However, you can increase or decrease this limit (called “recursion depth”), as per your needs. These files will be saved in a directory with the site’s name. In our case, the contents would be saved to a directory named en.wikipedia.org. You can also use inf in place of a number. This makes wget retrieve all content of a website, with an infinite recursion depth. wget <url> -U "Mozilla/5.0 (Macintosh; Intel Mac OS X 10_13_4) AppleWebKit/537.36 (KHTML, like Gecko) Chrome/66.0.3359.181 Safari/537.36"
wget <url> --header "X-Foo: 123"
If you want to set multiple custom headers, you can repeat the --header switch as many times as necessary. So far, the examples we’ve seen cover downloading publicly available files. However, there are times when you need to download files from a login protected page. In these situations, you can use a browser extension like CurlWget (Chrome) or cliget (Firefox). When you try to download a file, these extensions will generate a complete wget command that you can use to download the file. In this article, we will only discuss CurlWget, although cliget works in a similar way. Once you’ve installed CurlWget on Chrome, head over to the extension settings and change the Tool option from “curl” to “wget”. Then, head over to Download settings (Three dot menu > Settings > Advanced) and select the option “Ask where to save each file before downloading”. Now, you can copy this command and paste it in a terminal window to download the file. This is extremely useful for situations where you need to download a login protected file to a headless server. Wget has a “web spider” feature, that fetches pages but does not save them. This is useful in case you have to check for broken links on a website. To use this option properly, you need to also enable “recursive downloading”, which allows wget to scan through the document and look for links to traverse.